Lyt til Harald Kollings stemme HER. Det er en meget spændende digitalisering af dansk kulturarv, de allerførste danske lydoptagelser fra 1889-1897. Første gang overhovedet, at man kan lytte til det danske sprog. Jeg har nogle billeder på min hjemmeside herunder af skuespilleren på Folketeatret, Harald Kolling, som var i familie med Kollingfamilien (guldsmed) i Rønne og Kofoed-Hansen i Hasle. Hans stemme kan man høre på en meget fin og velkomponeret hjemmeside, der hedder Ruben-samlingen, efter "ophavsmanden" generalkonsul Gottfried Ruben som optog lyden. 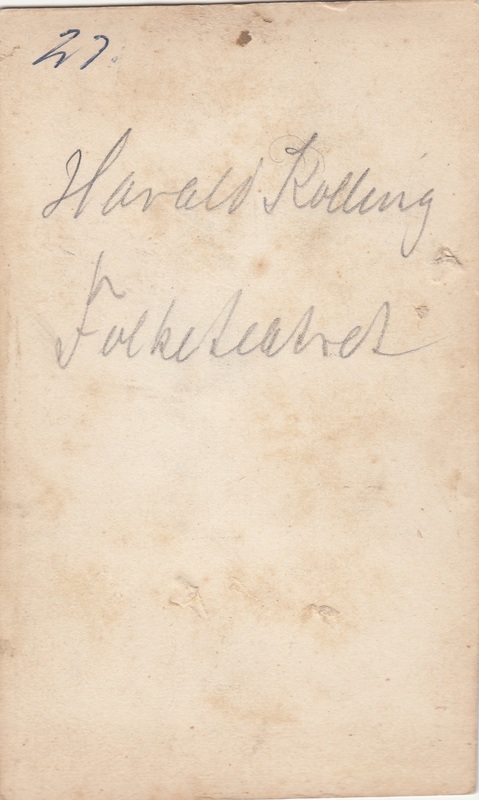 Harald Kolling, Folketeatret. Fætter (tror jeg) til guldsmed Kolling i Rønne. Billedet må være ret tidligt, jeg har en teori om, at de allerførste "papirfotografer" overtog dageurreotypisternes og vitrotypisternes mønstrede klæde, der var lagt over en gueridon et lille søjlebord - som vi ser på billedet herover. BØA 1976-13 (begge portrætter). Skuespiller Harald Colling, 1835-1904. Disse ni visitkortfotos blev solgt på ebay 2014 for 203 dollars. Teksten herunder er fra ebay. 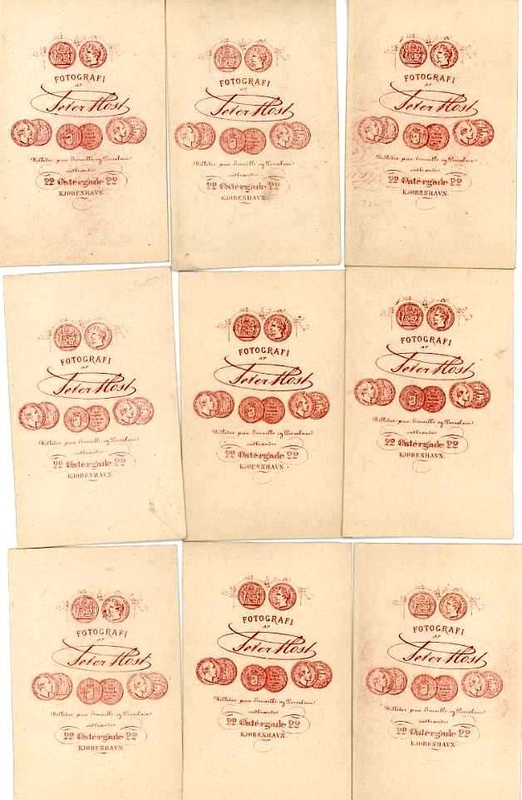 Group of nine, near mint, cdvs of Harald Colling (1835-1904) (aka Johan Frederik Harald Colling or Kolling) a noted Danish comic actor of the 19th century who was the first private actor to receive the Knight's Cross. 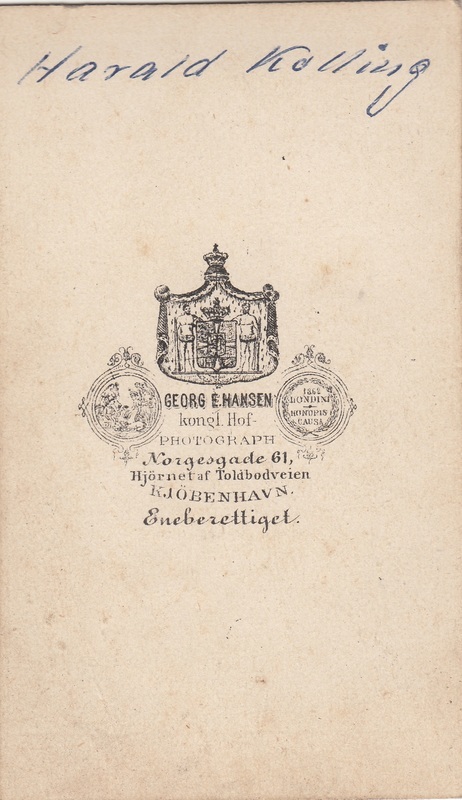 All the cdv's bear a Peter Most, 22 Ostergade, Copenhagen backmark. Colling was born in Copenhagen. He began his career as an amateur actor while he was a tobacco purring companion (similar to American vaudeville). The director of the People's Theater, Hans Wilhelm Lange, saw him perform and signed him to a contract with the People's Theater. 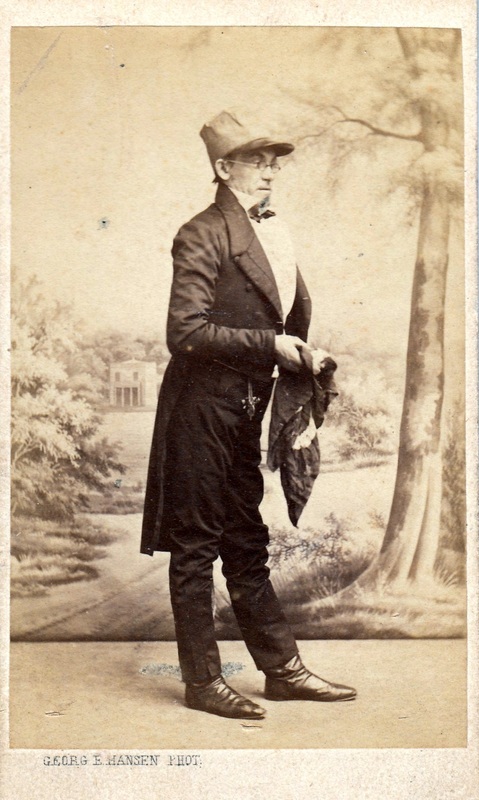 He had a small role in the Theater's September 18, 1857 opening performance, but this was the start of more than 450 characters he would play throughout his career. He was a hit with the Copenhagen bourgeoisie. Slight of build Colling was an excellent character actor. His most noted roles included the character Charles Sapuer (the editor) in "Copy Editor." He played one season (1870-71) at the Royal Theater, but missed performing every night, and the following season returned to the Peoples Theater and remained one of their best (if not, the best) comedians. His last performance was on Sept. 14, 1901. He died three years later. He was the first private theater actor who received the Knight's Cross. [Peter Most (aka Carl Peter Herman Most (1826-1900) was a Danish photographer]. 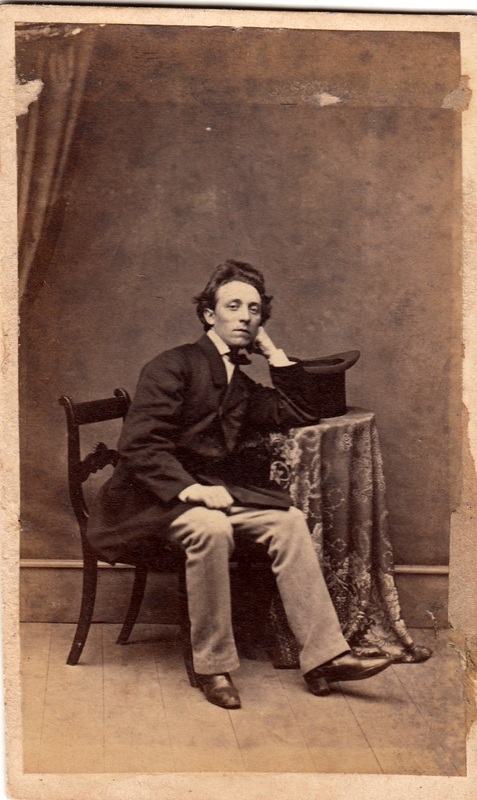 These photographs came from a Danish cdv album with most of the cdv's dating 1869, so I assume that is also the time period for these cdvs (thus making him in his mid-30s when these were taken. All these cdv's were for roles he had at the Peoples Theater. 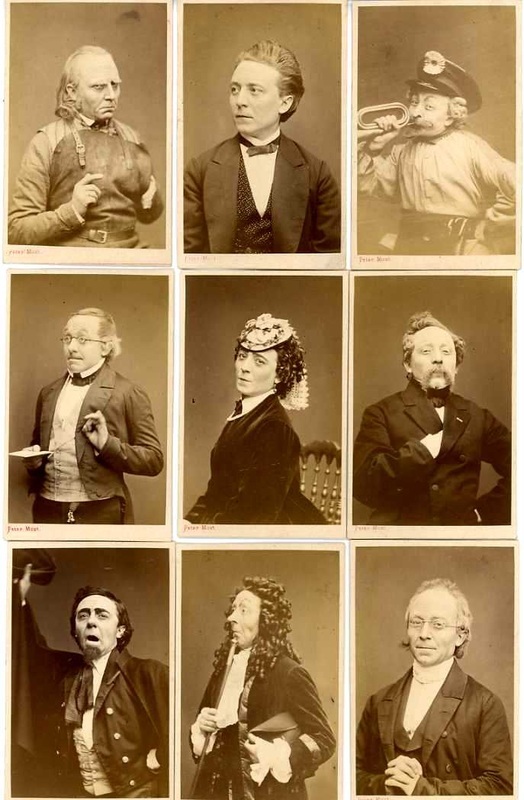 The top row, left to right (see scans) pictures him (a)in as a character in "the Pit " by Charles Dickens , (b) private view of H. Kolling, and (c) postmaster " Baron spendthrift " in an opera being a farce of Offenbach. The middle row, l to r, pictures him in (a) "When the cat is out" a farce by Carl Miller, (b) the woman's role as Lydia B. in "Copy Editor " by Erik Bøgh, and (c) Lieutenant Colonel Power in " Revue " by Frederik Holst . (which was the last of his many leading roles he played). 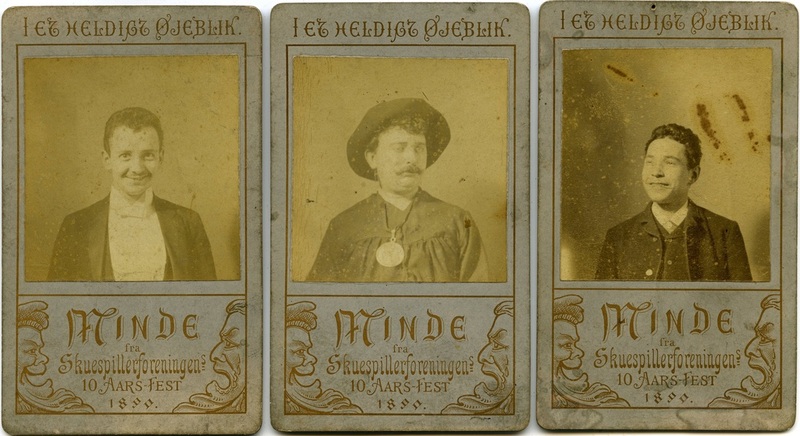 The bottom row, l to r, pictures him as (a) Charles Sapuer in "Copy Editor " (b) one of many characters in "Hexefløjten" by Erik Bøgh, and (c) A school administrator in the "World of Hercules " by Adolf Recke and Robert Watts. Tre skuespillere? Fotografen ukendt. Et Minde fra Skuespillerforeningens 10 Aars Fest 1890. BM 717.